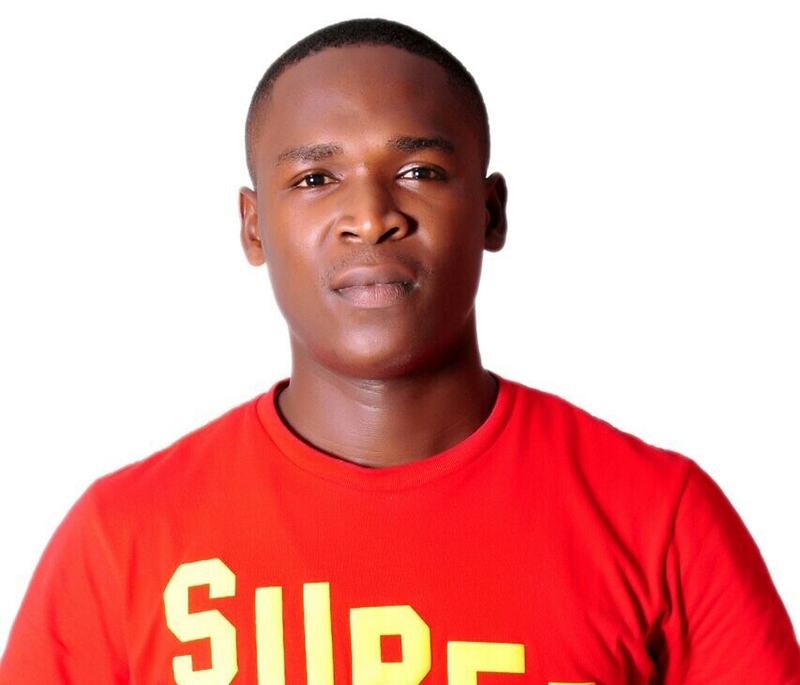 ShopRite StandUp Comedy featuring Best comedians East of Nigeria is coming this Easter! 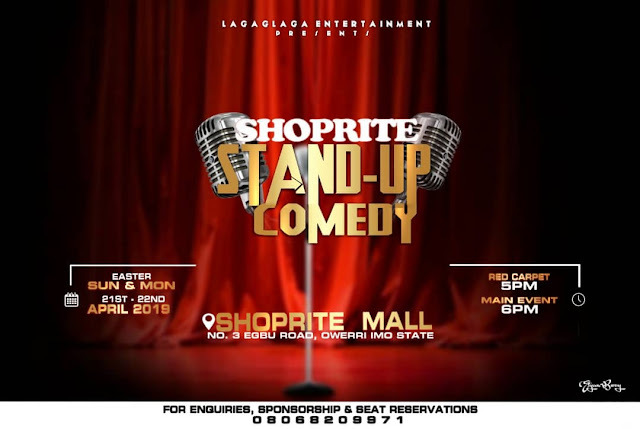 ShopRite mall Owerri and Lagalaga Entertainment presents ShopRite StandUp comedy featuring the very best of Eastern entertainment in Comedy, Music and Dance. The stage is set for the 2nd edition of Face of Africa Beauty Pageant scheduled to hold July 2018 at Rockview Hotel Owerri ,Imo state. The organizer of the program,Mr Ik Anyanwu, Ceo Face of Arise Africa made this disclosure while fielding question from newsmen in Owerri recently . 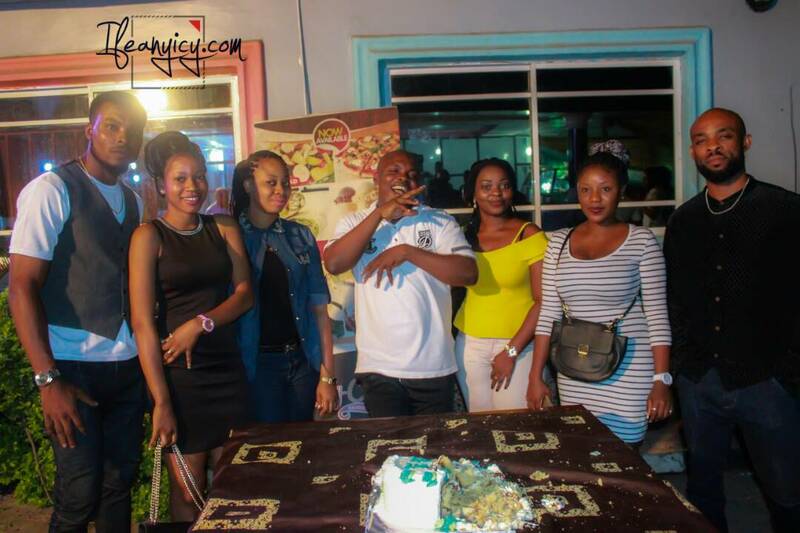 Blogger and political affairs commentator, Ifeanyi CY Njoku celebrated his birthday on Tuesday August 8th 2017 in Owerri, the Imo State capital. He turned 33 on the day. Here are some photos from the celebration and a report of how it went. 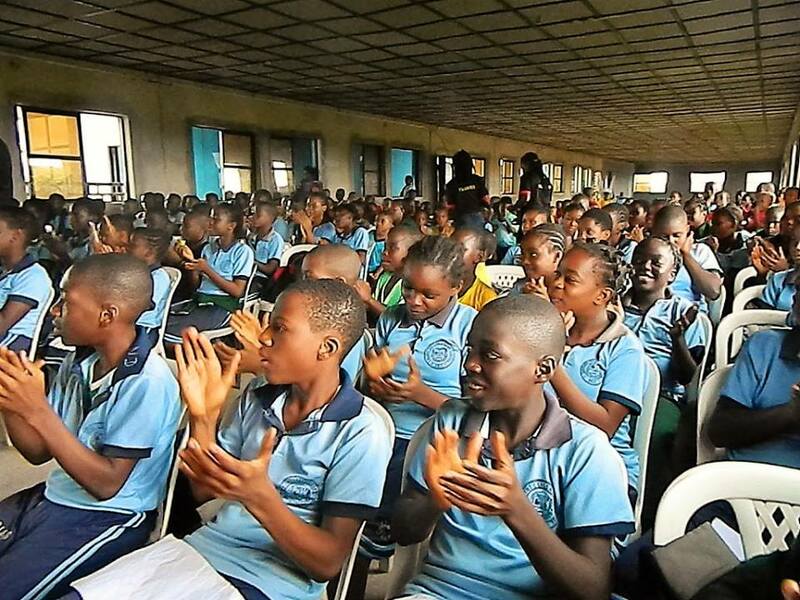 The Oluigbo (voice of Igbo) first edition Igbo language competition held successfully on 30th of June at Calvary International Secondary School, Orji, in the capital city of Imo State - Owerri. The event which was earlier publicised on GistGate.com as being organised by Mazi Nwadike Ifesinachi JohnPaul and his team was well attended by the students who were excited about the event which is part of the movement to secure Igbo language from extinction. 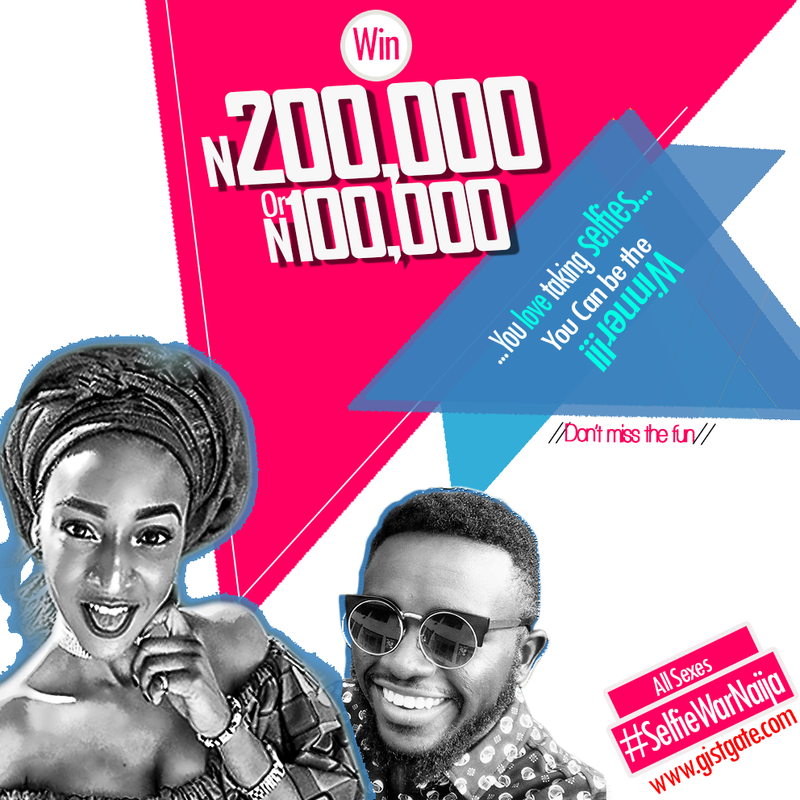 At 10 am the event kicked off and featured competitions (isompi) including okwu ntabeire (tongue-twisters), akuko ifo (folk tales), gwam gwam gwam (riddles), ajuoaza (quiz), egwu odinala (traditional dance of Igbo people), mbem ijele, and itu ilu (proverbs). Those who won in the competitions were given prizes including writing materials and other items. 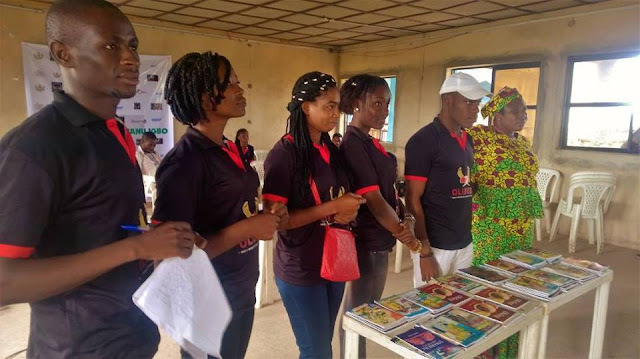 Head of the Oluigbo team who spoke with GistGate.com said the flag off event was to assess the level of knowledge and usage of the Igbo language in the school and subsequently among other students of other schools. 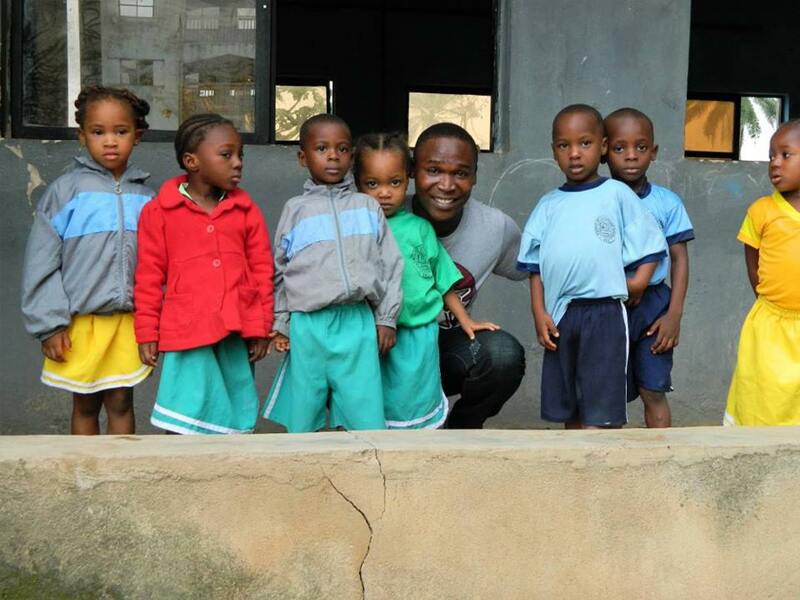 He said "surprisinly, the students were exceptionally beautiful in their use of Igbo language". He said the students show high enthusiasm and passion for the language but most patents see speaking big grammar as a means of showing they are affluent and this usually affect their children negatively. Mazi Ifesinachi added that the Oluigbo competition that held at Calvary school was amazing as the participants in the debate Igbo throughout without any use of English interjections. He noted that that was s test run and the competition will be taken to other schools soon. "I must say that Igbo language is not dead. Those who say that are just exaggerating. 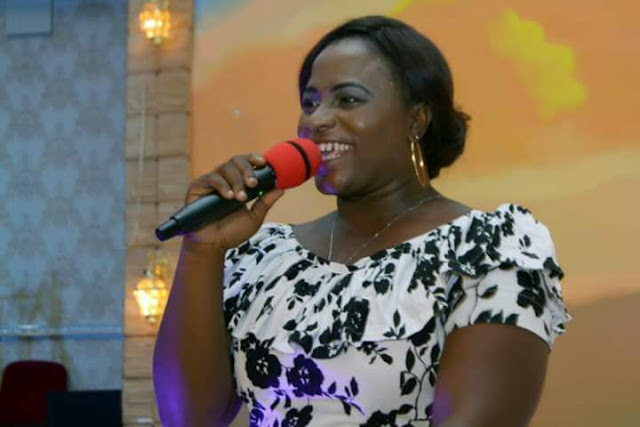 However what we need to do is to keep arousing the people to keep speaking and writing in Igbo"
The Audition of Face of Arise Afrika successfully held at Blue Ribbon Lounge, Shoprite Owerri on 30th June 2017. 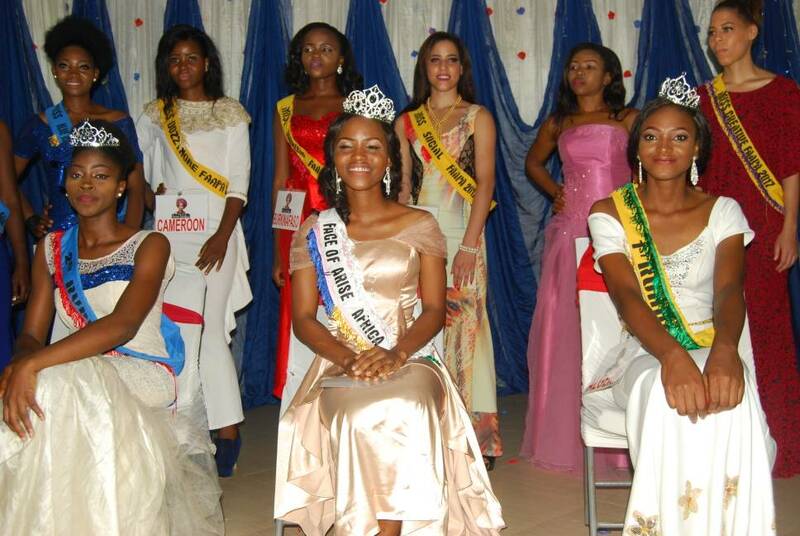 Over 40 persons picked up forms to be part of this pageant while 26 Queens scaled through to the next stage of the competition and currently part of the project. 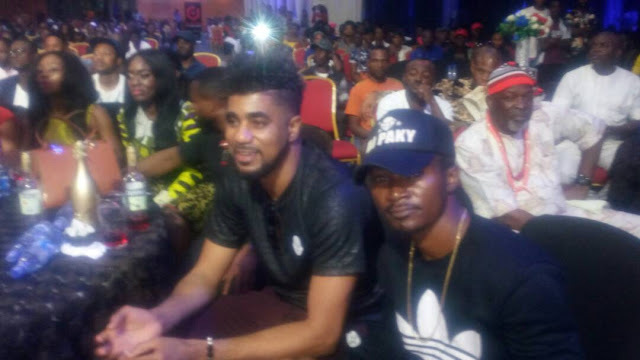 The Management of Face of Arise Afrika Pageant and all the contestants were present as the race began officially for the MOST TALKED ABOUT BEAUTY PAGEANT in and around Imo state now. Pst Adesoji Joseph one of our Awardees at the upcoming programme made a Guest Appearance as he came to inspire and mentor the young talents in the area of harnessing their music talents. Outside the usual time of cat-walking, Q&A sessions, the contestants were all taught how to make Anakara hand bags, shoes , Make up, Bead making. Welcome to the online Registration of Selfie Wars by GistGate Media. SelfieWars by GistGate is the first National Selfie Contest in Nigeria!. Registration and Voting are completely online. 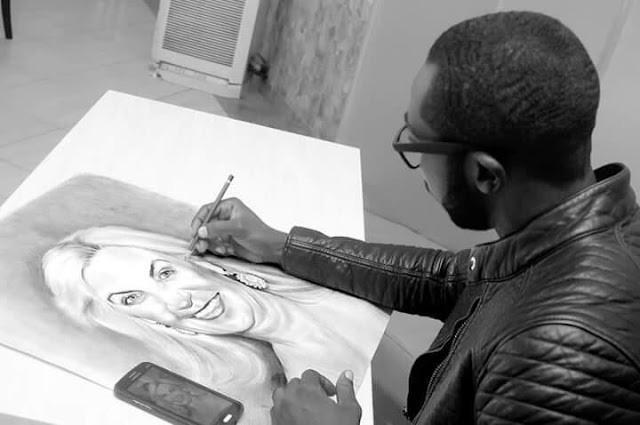 Pay N2,500 (Two Thousand Five Hundred Naira only) to Diamond Bank Account Number 0016986917. Account Name: Anaturuchi Iroapali. Get your teller number or mobile transfer reference ID. Click the REGISTER link to register. 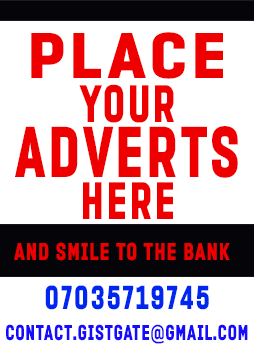 For any question or for sponsorship contact us on 07035719745. Please use +2347035719745 if you are outside Nigeria. Ans: We will inform you through your number and email. Q: How will the contest be? Ans: The contest is totally on-line. There will be voting on our FacebookPage, this website (GistGate.com) and on our Instagram Page. Q:Will there be a Grand Finale event like in pageants? Ans: No. So you don't have to worry about costumes, cat walking, judges, expensive make up etc. Q: How do I know the contest is not a fraud? Ans: GistGate has been operating since 2013. We have successfully and without fraud organized such other shows. We have a reputation to protect. GistGate founder Anaturuchi GreenBrain can be found on Facebook. Check to see if he is a real person. Q: Is the form fee refundable if I decide to quit? Ans: No. And you won't want to quit. It will be too much fun. In two events wehave done, those who finally won at a time wanted to quit. Q: I have participated/heard of such and they say it will be rigged. Will this be? Ans: We understand your fears. There are lots of fake stuff out there and many insincere people and we can not convince you with words alone. Participants of all our events attest that we are different. However, the whole voting process will be open for all to see and there will be no way of manipulation. Q: How will I get my prize? Ans: It will be sent to you though transfer. 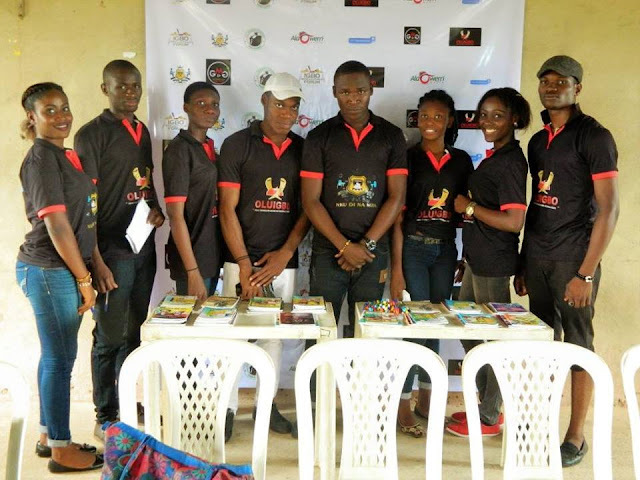 The maiden edition of Oluigbo (Voice of Igbo) competition is going to be taking place on June 30th by 10am at Calvary International Secondary School at Orji in Owerri, Imo state and it is aimed at stirring up the youths to uphold the Igbo language and keep speaking it dearly no matter the rate of penetration of western culture. The Oluigbo initiative will commence the competition between Igbo primary school pupils across Igboland (South-East Nigeria) this month. The first competition will hold on June 30th 2017. 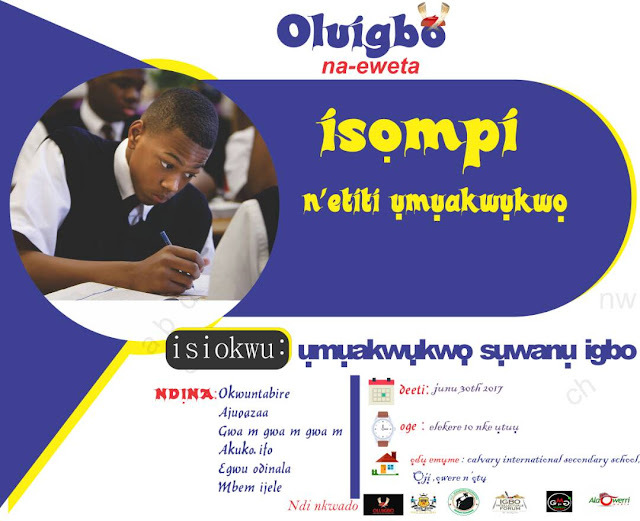 OLUIGBO is a competition designed for the revival of Igbo language. Purpose is to renew interest and sustain Igbo language. OLUIGBO is a programme that is competition-based to stimulate the minds of primary school pupils with a view to propagate and sustain the speaking of Igbo in everyday life. 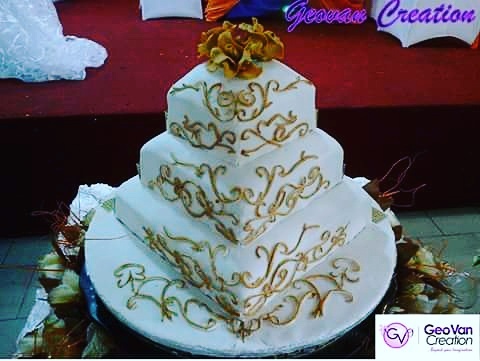 Geovani Creation & Events is an event planning and management company whose commitment is to create signature events in in Imo State and across Nigeria. 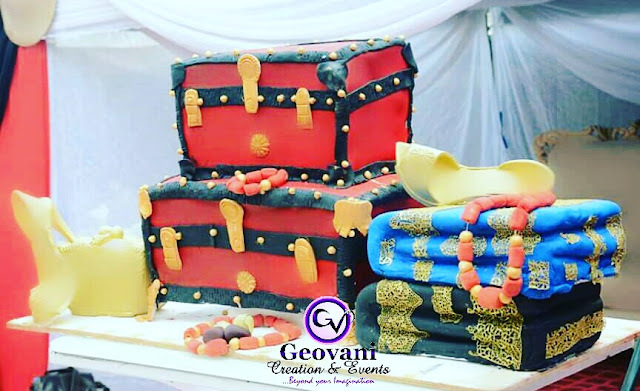 Geovani is a full service event planning and management company whose sole aim is to provide memorable and lifetime experiences by creating, planning, and managing both corporate and personal events that are client-centered. 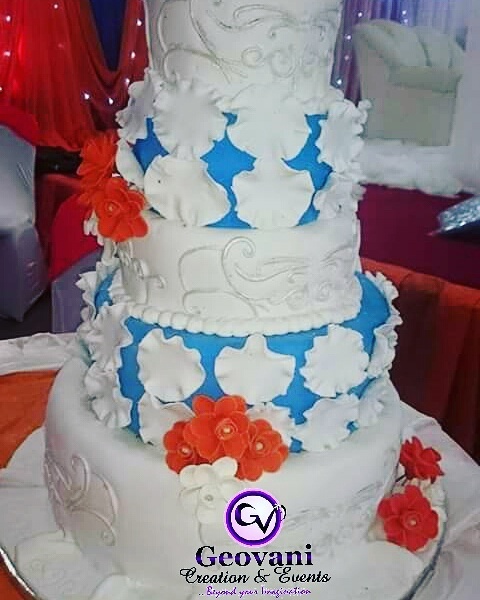 For the best Event Management in Owerri and Event management in all of Imo State and Nigeria as a whole, Geovani is simply the best brand to trust. For 11 years now, all we have given clients is a reason to smile. Geovani Creation will help you to organize and manage every aspect of your event. 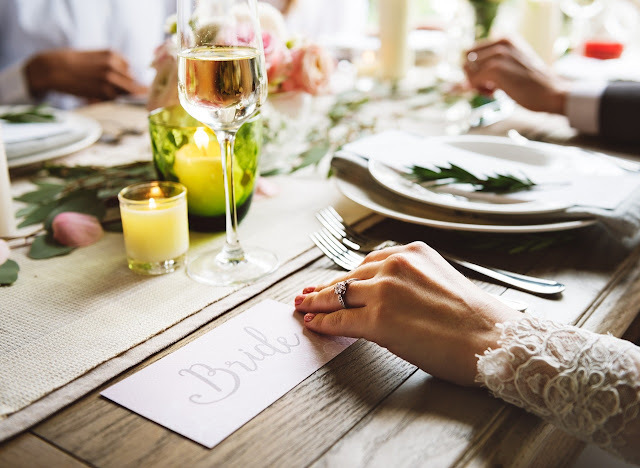 Our team is made up of young, vibrant, purpose-driven professionals who are experienced, flexible, work well with people and have an understanding of the needs, challenges, and limitations of any event. We offer breathtaking masterpiece to wow our clients and marvel their guests. We do theme Decoration for weddings...Traditional and white. 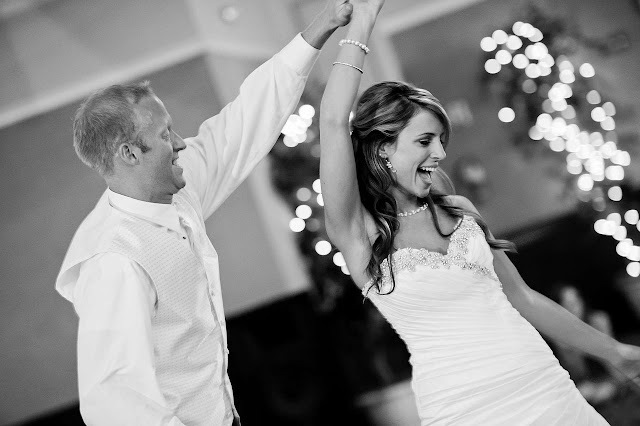 We bring into reality the very fantasies and childlike imaginations of our clients. 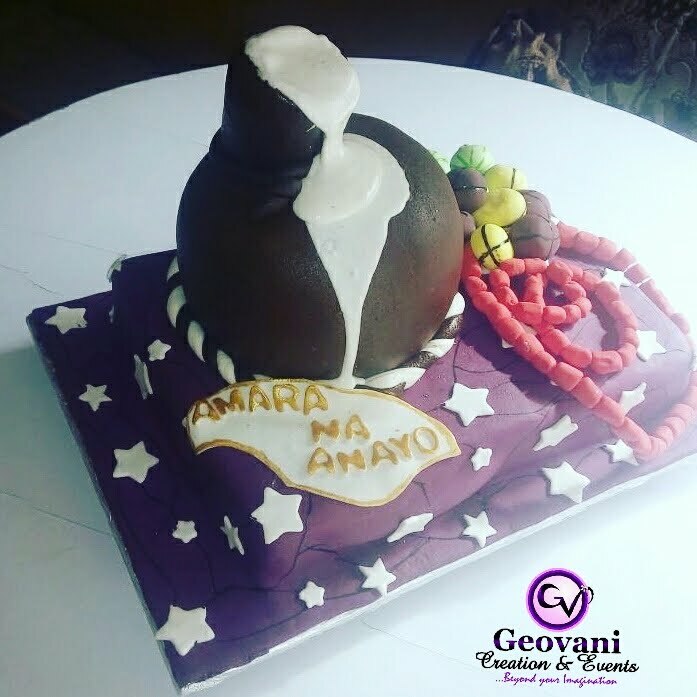 As a result, we create from scratch the very wonder that will make your event thick. We are very meticulous, because we always give a lot of attention to details. 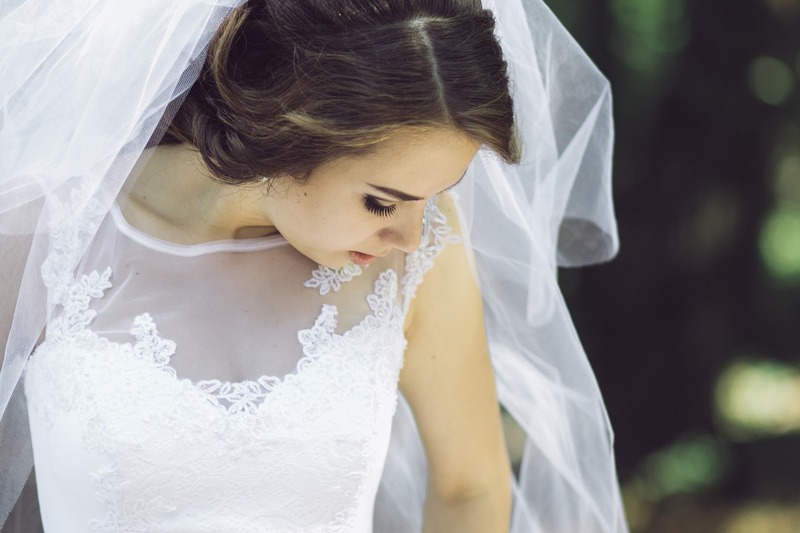 We focus on details, specifics and lead contents to give you the topnotch magical wedding experience you deserve. To dominate the African market by occupying the number one spot as the most preferred and fastest growing brand in event planning and management services in the world. #267 Ikenegbu Layout, Opposite Noble Supermarket, Owerro, Imo State. We leverage the passion, support and commitment and expertise of our team to guarantee that our clients’ needs are met to exact specification. To attract, recruit, and retain the most knowledgeable and passionate professionals, and provide a collaborative culture that enables them to thrive professionally and personally. The major advantage of any our service offerings’ is that we save you not only time but your sanity! We do the legwork for you, always working within your parameters. We do not dictate to you, but we offer you options. 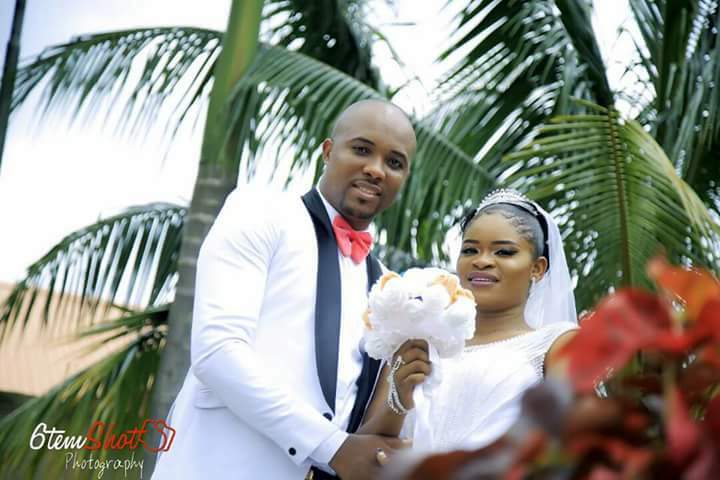 We believe as you partner with us today, we will jointly improve your image, improve your relationship with others and improve your effort at satisfying your admirers. 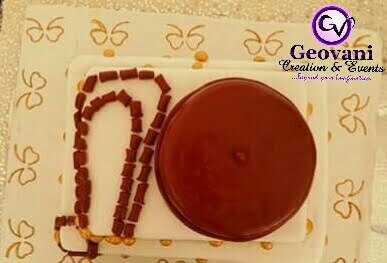 Established 11 years ago, Geovani creation formerly known as Geovani wedding bells, is a full service event planning and management company whose sole aim is to provide memorable and lifetime experiences by creating, planning, and managing both corporate and personal events that are client-centered. If You've Got A Great DJ Then Your Event Is Already Half Successful: DJ Smiley J Is The Great DJ For You! Once you have a great Dj at your event, your event is already half-successful. 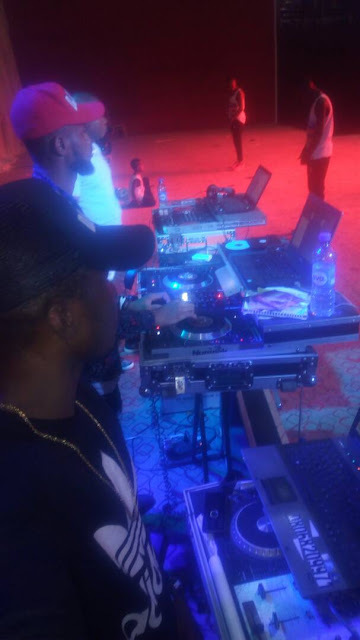 So when it comes to getting a good DJ, don't even compromise to get someone who has not mastered the art of Disc Jockeying. Not sure who to call? 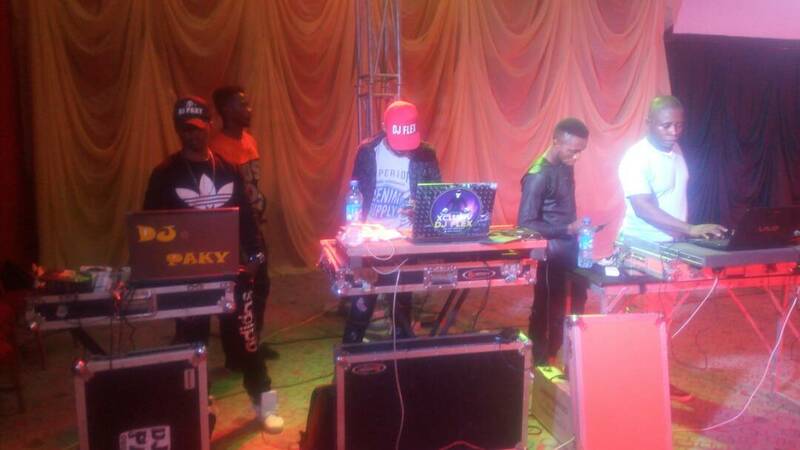 Dj Smiley is your guy!!! 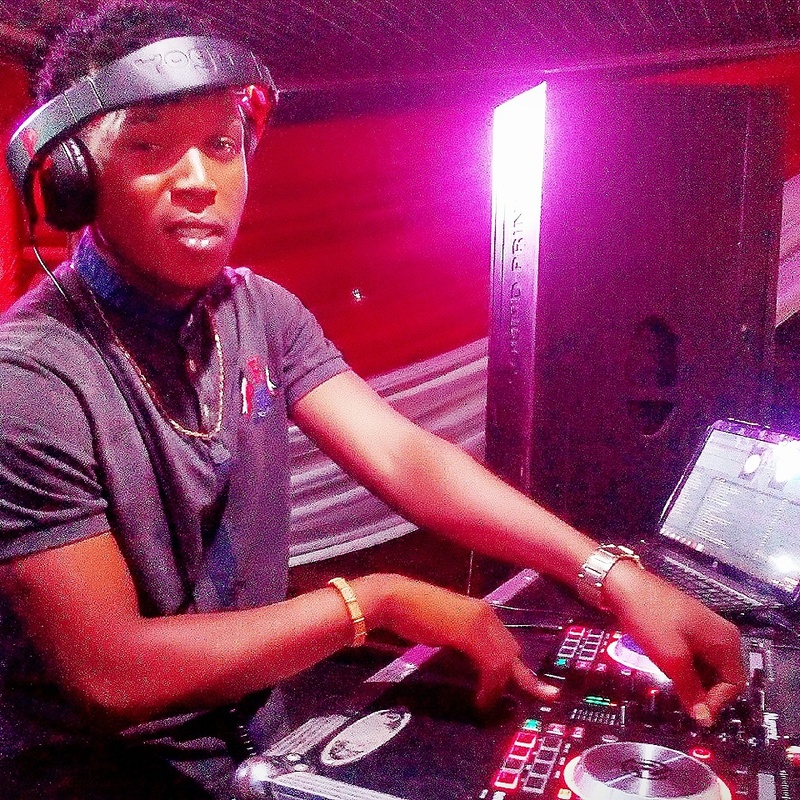 DJ Smiley J is a live extravaganza.A Vibe Master, fusing Music with skills & tech.The baddest Disc Jockey alive! Geovani Creation & Events is an event planning and management company whose commitment is to create signature events in Nigeria. Yesterday Saturday 6th May, 2017 at Jesus Never Fails Arena (Event Center), Port-Harcourt road Owerri, Imo State, former Igbo beauty queen Asa Igbo, Jane Nnadozie (Ezurike) wedded her handsome partner Nnamdi John Ezurike who goes by the name Fabulous. 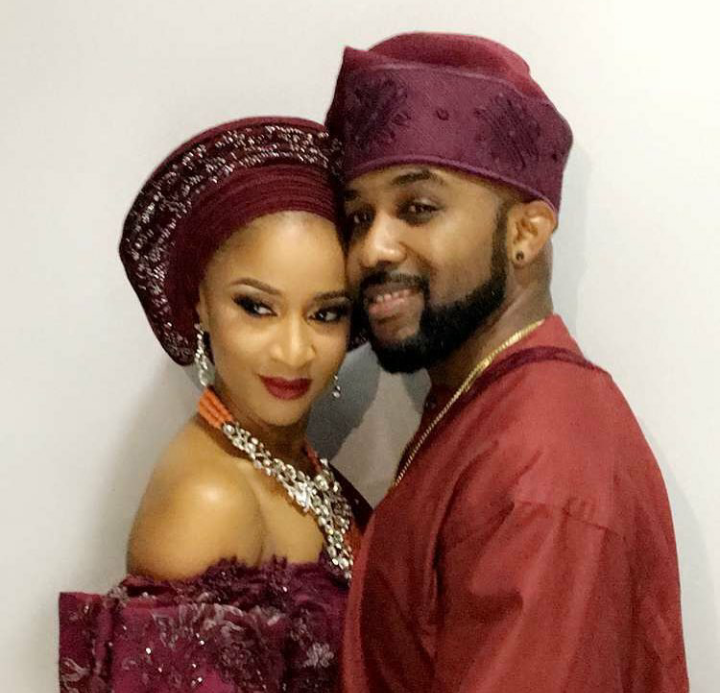 Photos have been pouring out from Banky Wellington and actress Adesua Etomi traditional wedding yesterday. 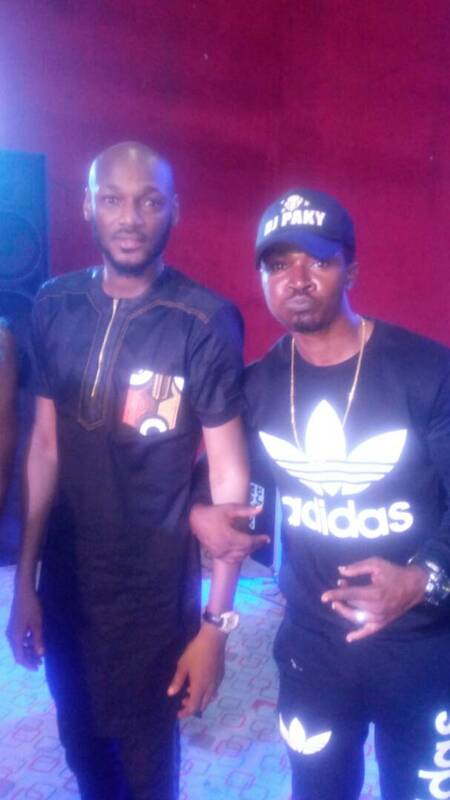 Big congrats to the latest celebrity couple in Nigeria. On 29th April Imo state capital Owerri was stormed by 2baba and GospelOnTheBeatz for the earlier the Owerri Music Conference as earlier advertised on GistGate. 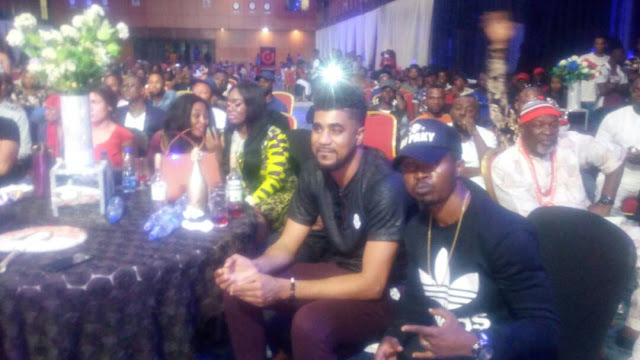 Also on the same day 6 of the top BBNaija Contestants including Thin Tall Tony, Kemen and Uriel also stormed Owerri for the homecoming of the Imo state born Uriel Oputa. 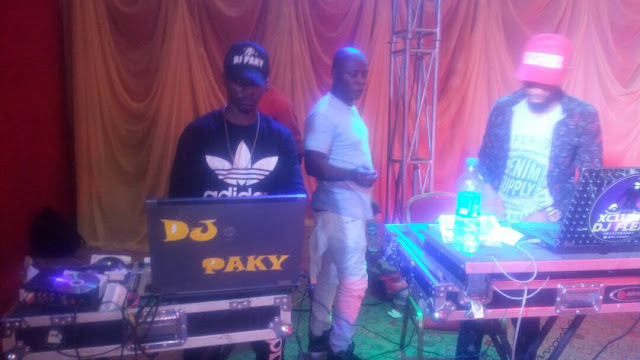 Classical DJ Paky was among the top DJs that played at the music conference. 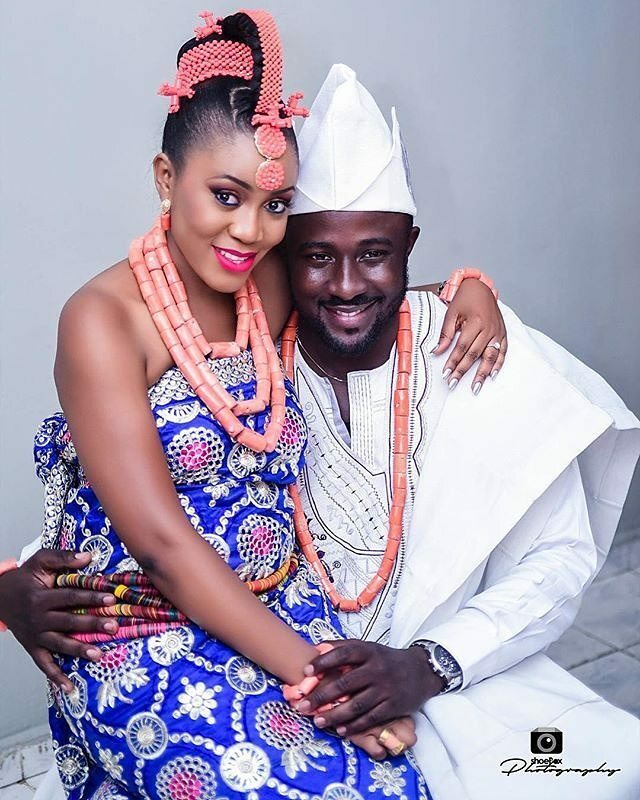 The daughter of popular Nollywood actress Liz Benson's daughter is now officially Mrs Etim. 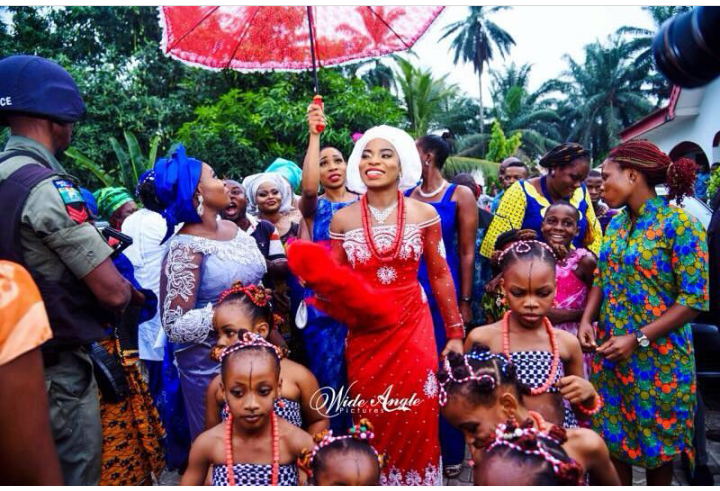 She wedded traditionally on March 31st and had white wedding with her husband Promise Etim on April 8th. More photos below. 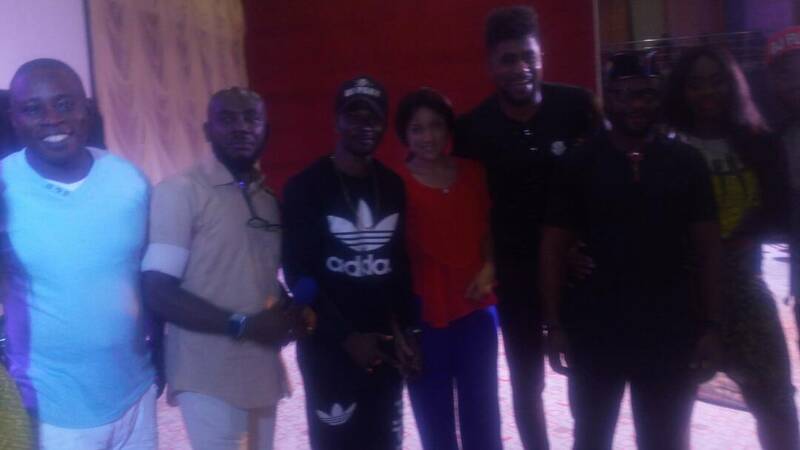 Jollof Jokes Comedy Concert about to shake Owerri! Owerri the Imo State capital is about to get real hot! 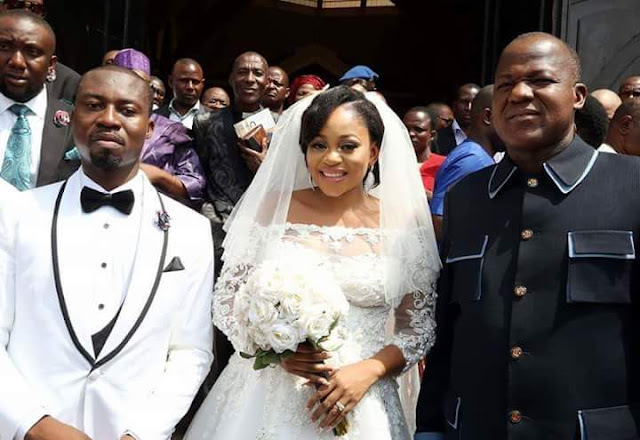 Daughter of former Senator Ifeanyi Ararume, Chioma Ararume, and son of former Plateau state Governor Nante Dariye. Honourable Minister of Transportation, Chibuike Rotimi Amaechi. 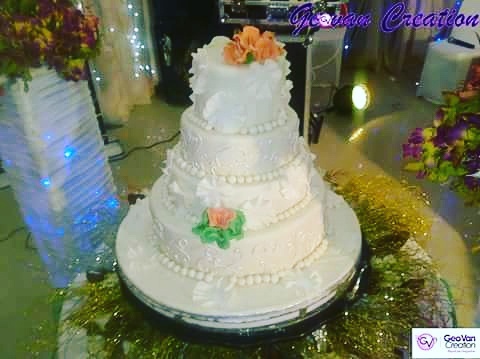 Wedding was at Ecumenical Center, National Christian Centre, Abuja. 1st April 2017.